Adjusting tight interproximal contacts when seating a restoration such as a crown, bridge, implant, inlay, onlay, or almost any other prosthesis, can be difficult and time consuming. In the past, there was really no good way to mark contacts, leaving dentists to play the guess and check game. 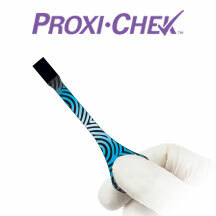 Microcopy’s PROXI-CHEKTM offers a new way for dentists to accurately mark contacts for adjustment, ensuring complete marginal seating, maximizing efficiency and leading to more predictable results. Decrease chair time with a precise adjustment. Aids in proper seating of the crown for tight margins. 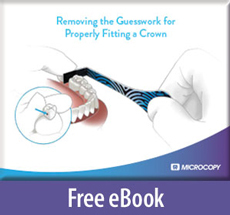 Reduce the risk of over adjusting the crown.